Wine is now the most popular alcoholic drink on the planet, says Esat Ayhan, “and we in Turkey are benefiting from this positive wind”. Owner for the past twenty-two years of a fashionable Cihangir şarküteri stocking everything from De Cecco pasta to bacon and pate, Esat Bey took the opportunity four years ago to expand its renowned La Cave wine section into an entire floor devoted to the grape. Sarafin’s marriage of local micro-climates with modern grape varieties and French barrelling was the starting point for other fashionable wines from such makers as Giiler Sabançı, whose chic G brand Cabernet Merlot and elegant Sangiovese vie for space on La Cave’s shelves with equally trendy bottles from the Pamukkale Winery, as well as old-stagers from Kavakhdere and various members of the Kutman family. For all of them, the Turkish wine revolution has meant smart new wine styles, labels and caps, and a renewed vigour for wine education and product marketing. In education, Doluca is leading the way, operating a tir-buşon diploma for sommeliers and amateurs alike. Cellar-door visits and winery tours are offered at its Müirefte facility, and at that of Pamukkale Winery in Denizli. The charge that Turkey is merely aping European and US wine-drinking fashions is firmly refuted by Esat Ayhan. 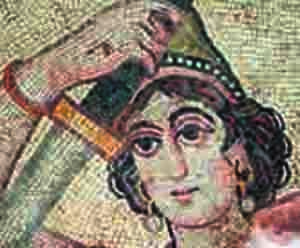 “We have an ancient, deep-rooted connection to viniculture that goes back to pre-Byzantium times. Also, every well-built Ottoman mansion in this area had a purpose-built wine store.” Plus ça change: today the home accessory most demanded by Turkey’s nouveaux riches is a built-in humidity and-temperature-controlled cellar. 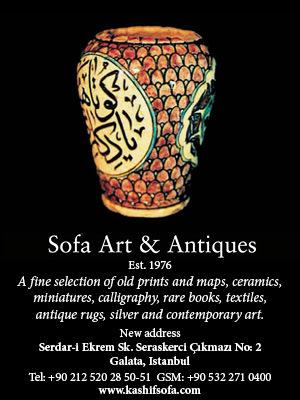 The days of doddery scions of Ottoman families visiting Esat Bey’s emporium are numbered, as most of his customers now are from the university-educated middle classes. “It makes me happy,” he smiles, “that wine-and not rakı - is their drink of choice.” This is not to say that La Cave sells only wine. A huge stock of whiskies is maintained, not to mention other spirits. Even fortified wines make an appearance, most notably in Küp’s extraordinary cherry wine, a rich, smooth mouthful that delivers sweet cherry flavour, but also complex notes of wild thyme and dried mint. La Cave also features regular samplings of the wine-maker’s art, an interest in which need not be expensive: prices start at a modest TL3 million ($1.50) for a brash number from Tekel and rise to about TL100 million ($50) for an imported champagne. Wine investors are also catered for. A small stock of French vintage wines serves canny buyers, who can pick up a Margaux ‘83, say, or an ‘86 Chateau Latour at a fraction of the prices they might command in Paris or London. No such market yet exists to any great extent in Turkish wines, although Esat Ayhan points to Sarafin’s Merlot and Külüp’s Boğazkere as demonstrating craft, fruit and style enough to merit laying down for a few years. Turkish labels have yet to achieve the legendary status accorded to the best European wines, but in La Cave there exists at last the venue to exhibit the fruits of an ancient industry, recently reborn. La Cave, Sıraselviler Caddesi 109, Cihangir/Beyoglu, Istanbul. Food writer Kevin Gould is the author of ‘Loving and Cooking with Reckless Abandon’ (Quadrille) and ‘Dishy’ (Hodder & Stoughton).